Welcome home, Willa — and it's definitely Willa because the DNA test confirmed it. The episode begins with this new realization hitting the other two Earp sisters. One is ready to adjust, while the other can't get herself to deal with it. Waverly definitely tries, but it's not so easy when Willa puts up a blockade when talking about her own disappearance. When Waverly tells Willa about what her funeral and service was like, she describes how the adults let her eat as many marshmallows as she wanted, but it caused her to throw up all night long. In complete deadpan, Willa responds, "Gee, that must've been so hard for you." I mean, I don't blame Willa, since I can't exactly explain what it's like to feel as if your family killed you because they stopped looking for you after you disappeared. It's got to hurt if you've been gone for so long and had no idea that you had family out there. After she experiences a flashback of her being taken away the night that their father died, she makes as if to touch Waverly's arm, but Waverly scoots away, as if she's scared of her. Waverly can't get herself to trust someone so quickly even if all the evidence shows that it truly is Willa. 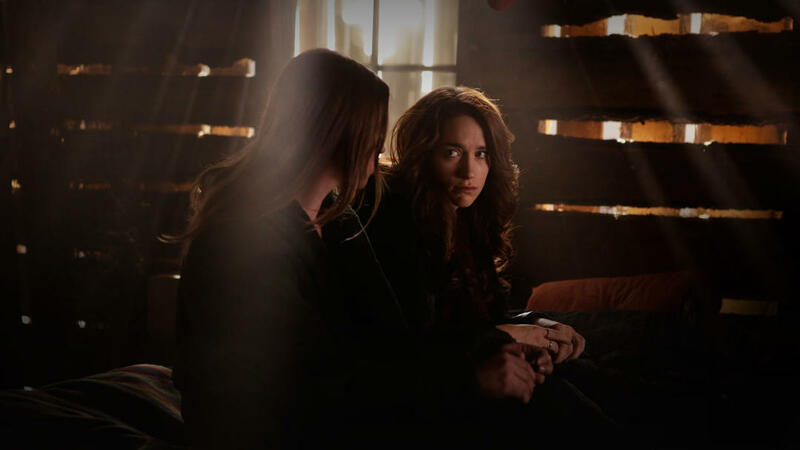 Plus it's understandable that Waverly can't as quickly adapt to Willa as Wynonna might, especially if their relationship as children wasn't as great to begin with (i.e., Willa held Waverly's bear for ransom multiple times). Either way, Willa gets so overcome with emotion that she runs off. 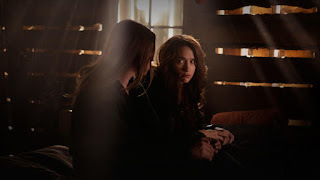 Wynonna and Waverly find her in the saloon where she tells Wynonna that on the night their dad died, he knew that the group of Revenants were coming to get them. He knew and let them into their home. Before Wynonna can react to this news, a Revenant man comes up behind Willa and calls them "whores." Angry, Willa grabs Peacemaker and shoots him. He gets sent straight to hell, but unfortunately, there are people in the saloon that are "normal" and have no idea what just happened. A man sitting at one of the tables was even taking a video of the entire situation on his phone. When they get back home, Willa's anger is still raging as she blames Wynonna for not taking more initiative and killing the Revenants when she sees them, rather than following Dolls' orders. Wynonna storms off with Willa following her. Willa ends up apologizing for letting her irritation overtake her. They begin to reminisce about their childhood together and, without their knowledge, Waverly's overhearing what they're saying. She even hears Willa say to Wynonna, "we were two peas, you and I. It's always been you and I." That's got to hurt so bad. Since the beginning, Waverly's wanted to help Wynonna out with taking down the Revenants, by using her knowledge about them to do so. But now, she's being shut out of the group entirely. Waverly returns to the house where she and Dolls have a frank and sweet talk. Dolls immediately senses that Waverly hasn't warmed up to Willa as quickly as Wynonna has. He makes sure to tell her that no matter how many Earps might show up, they're always going to need Waverly. Even though she's feeling left out now, he and Wynonna (though she's not there to say it) will always need her. They get interrupted by sudden gunfire and smoke bombs flying into the room. Revenants aren't the ones attacking them, but humans are. Using the barn as a surprise tactic, Wynonna and Willa come out, guns blazing and manage to scare some of the attackers off. They come out of it unscathed, but Waverly isn't as lucky. She gets shot in the side, although Dolls considers it "a graze." As Wynonna and Dolls tend to her wound, Willa notices that there's one more man left. She runs out to try to get him and Wynonna follows her. Willa gets into a bit of a scuffle with the man, but is saved by none other than Bobo, who kills the man. When Wynonna catches up, she's ready to shoot Bobo, but Willa pushes her aside. It isn't until afterward that they learn that the target for this attack wasn't any of the Earp girls, but Dolls. During all of this, Doc's pretty busy on his own. His Cadillac broke down, and a random man named Juan Carlos comes to his rescue. After checking to see if this Carlos guy is a Revenant — which he's not — Doc climbs into his car. In here, he finds that Juan Carlos has the deputy badge that Wyatt gave Doc, but which Doc threw in the fire. How did he get it? Who knows. He never explains. But what he does explain is the Ghost River Triangle. There are four days until the Winter Solstice, which means there are four days until "the door" opens and she, presumably Wynonna, will lose even without Doc's help. Juan Carlos gives Doc an ultimatum — he has to choose between drifting through his life some more, or finally facing the darkness with Wynonna. For some reason, I get the sense that he's going to choose to face it with Wynonna. Juan Carlos apparently attempted to fix the Cadillac, but he didn't do a great job of it because Doc gets stranded in another place on account that there's smoke coming out of the car. He walks out, inspecting it, but he gets clobbered in the back of the head by a mystery person and dragged away. Waverly's outfits are so beautiful they make me want to cry. "Gotta go. Yeah, I said I'd see Nicole before the Poker Spectacular." "Are you and Nicole best friends now?" GAL PALS. Why's there already blood in the hotel bathroom with the Revenant vampires? That's never explained. Wynonna Earp: a show in which queer girls can get shot and not die. What a concept! "Dudes dig scars." "Do chicks?" Best way to come out to your sister award goes to Waverly.